Hi, it's first time for my turn for this relay, I'm mio. I hope our dear readers are enjoying this realy as much as we are! Just in case you are wondering, article of Any from Moscow are written in Japanese by herself! By the way I didn't know that Nunzia is from Napoli! but actually Tokyo is so extremely hot that you could bake pizza on the street! 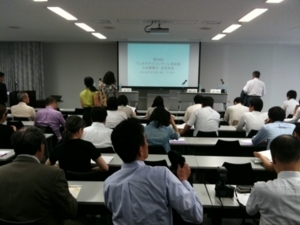 I will report several press conference held at Tokyo headquater this month. 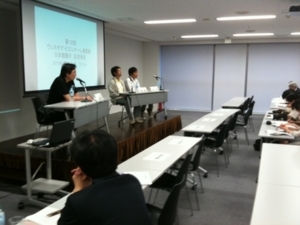 Japan Foundation is cooperating to the Aichi Triennale, and press conference in Tokyo was held in our venue on July 14! 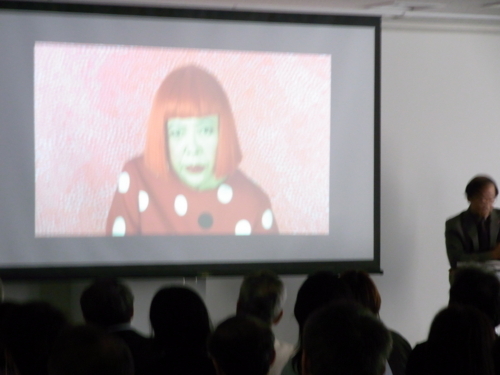 作家の一人、草間彌生さんからはなんとビデオメッセージが！ Vide message form Yayoi Kusama! 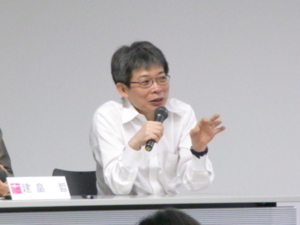 Oriza Hirata presented his new play with robot!He is also on our article on Performing Arts Network Japan! 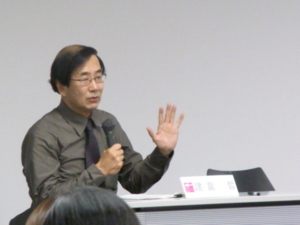 全体の説明をする、芸術監督の建畠晢さん。Artistic Director Akira Tatehata presenting the concept of the whole program. There are so many events and performances as well as works that I can't decide when and how many times I shoud go! 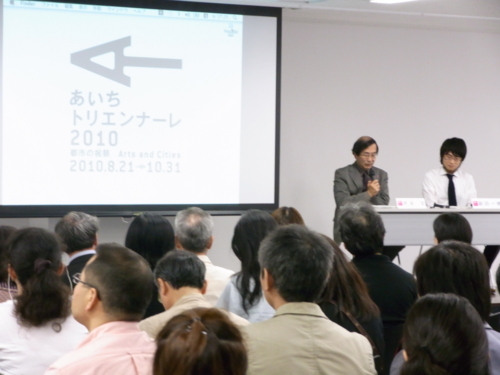 Please also check out opening symposium "The Mission of Biennials/Triennials: An East Asian Perspective"
Second press conference was about 54th Venice Biennale (Art) ! 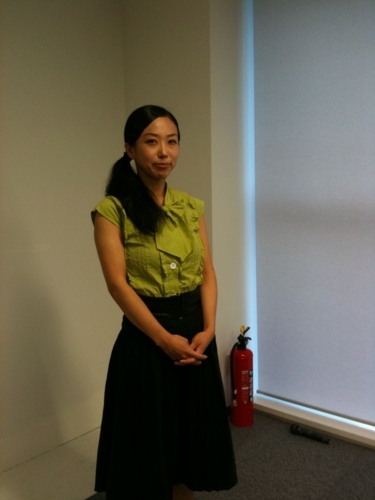 It was announced this day that the comissioner for the Japanese pavilion is Yuka Uematsu, with the artist Tabaimo! 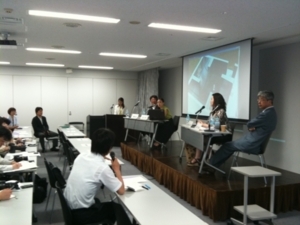 Yuka Uematsu presenting plan for the pavillion with Tabaimo. After the conference - Please, look here too! Tabaimo san! We are so looking forward for your work next year! For detail please see this page, and you can also watch the whole conference on Ustream! Last one to report is also Venice Biennale but this time for the architecture starting next month! 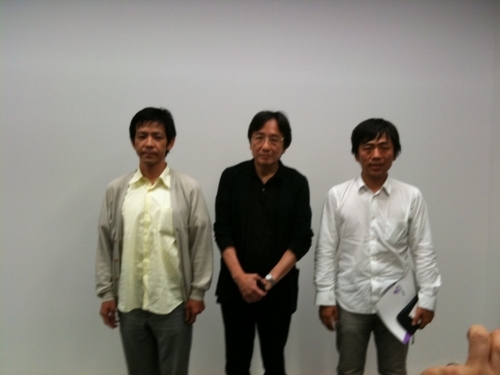 This is comissioner Koh Kitayama, and two artists, Yoshiharu Tsukamoto and Ryue Nishizawa. 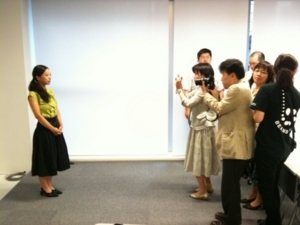 同じく、取材陣に囲まれる３名…。Taking picture of all three of them! こちらはもうすぐオープンですね！皆様、行ってらっしゃいませ！The architecture exhibition is starting, well, very soon from August 29! This is also on our Ustream so please go find what’s behind the plan! 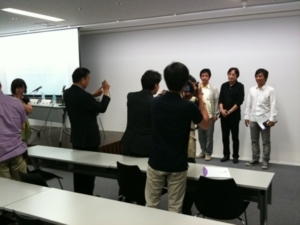 So it was/still is a month of Press conference for JF headquater and also for my PR section! By the way are you going to see Venice Biennnale, Nunzia? Next blogger is Nha san from Hanoi!